Due to our enormous understanding and massive knowledge of this business, we are involved in offering Power Analyzer. Three-phase power analyzer(balanced and unbalanced) for its assembly on DIN rails with very small dimensions, measuring in 4 quadrants. Our company has gained name and fame in presenting Fluke 435 Power Analyzer. Feature: 8G Memory Card to Make the long-term measuring data storage. 1. 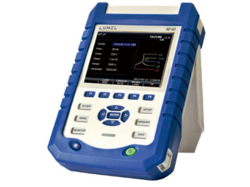 Portable power analyzer for three-phase and single-phase electrical networks with simultaneous measurement of leakage current, power quality and recording of transients. 2. AR6 is the best tool for visualizing and analyzing the network’s problems regardless of whether it is a single-phase or three-phase network. Three-phase electrical network analyzer (balanced and unbalanced) assembled on DIN rail, measuring in 4 quadrants (consumption and generation). Wide application partial discharge test system for Testing Power Cable, Transformer, Rotating Machines. Narrow and Broad band selection, Qmax, PPS etc. Digital Sampling , Free selection of frequency band, Identification of PD source, Pulse Polarity are unque features. On-site analysis and data retrieval without a computer. • Intelligent Download – select only the data required. • Trend Harmonics, THD & TDD and provides real-time graphical display of individual harmonic power. • Remote Communications & alarm capabilities. 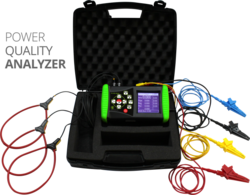 To detect disturbance in the electrical system (in panel or portable versions). According to the type of equipment, they can detect: slow voltage variations, rapid voltage variations, interruptions, dips, overvoltages, microcuts, etc., that are reasons for machine stoppages, resets in PLC, etc.